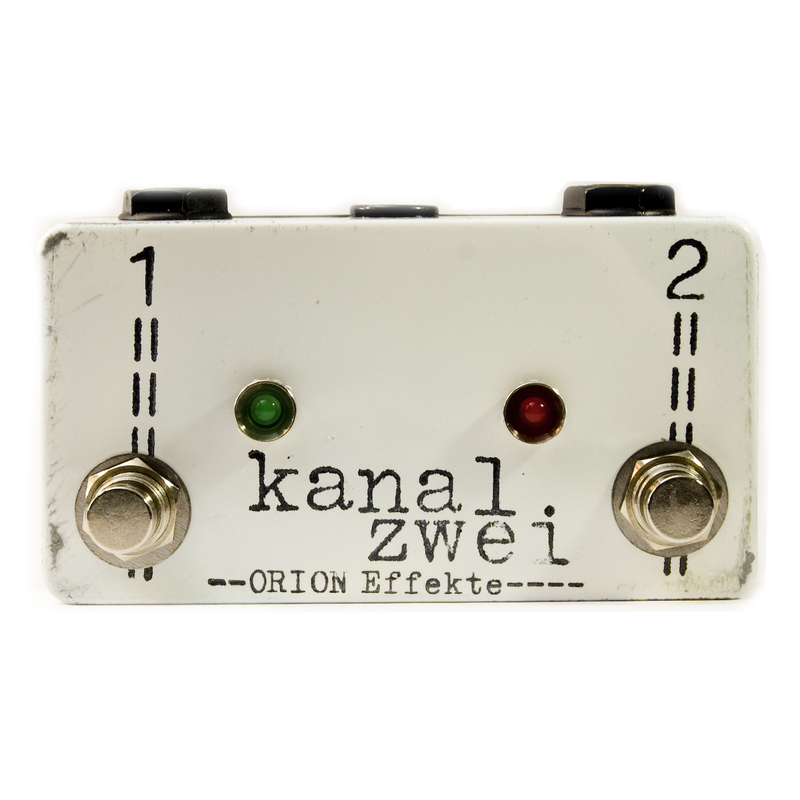 Kanal Eins is a channel-switch for amps and other units with footswitch-input. 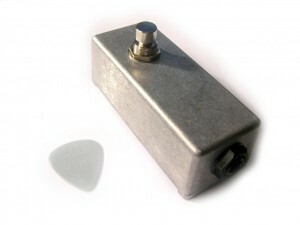 You can use two parallel input-jacks for best fit on your board. Also for use as mute-switch. 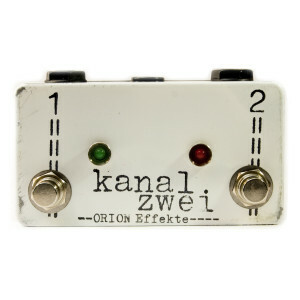 Kanal Zwei is a double-channel-switch for amps and other units with footswitch-input.